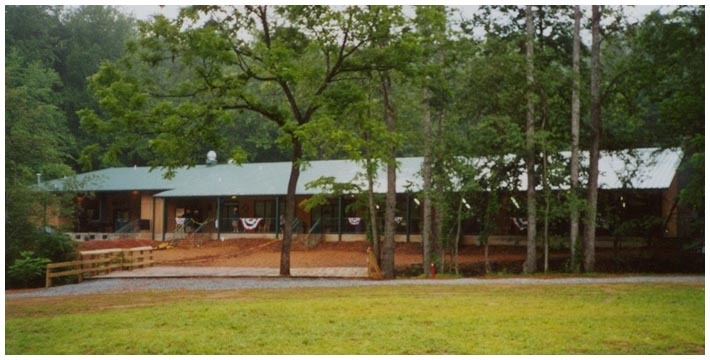 The Dining Hall at Camp Rainey Mountain was desinged to allow for seating all 800 boy scouts and adult leaders that attend a summer camp session at one time. The Dining hall includes a full service commercial kitchen. The tight budget made the buildings's construction depend on private donations donated building materials and contractor services. 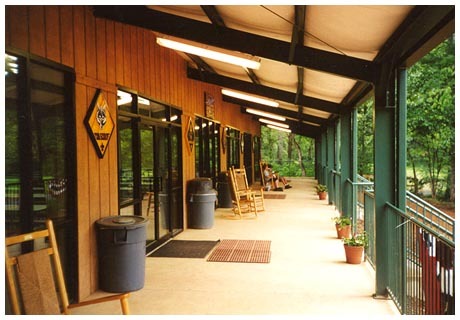 The result is a cost-concious, metal building steel skeleton with wood siding, that allows the building to blend into its natural woodland setting.